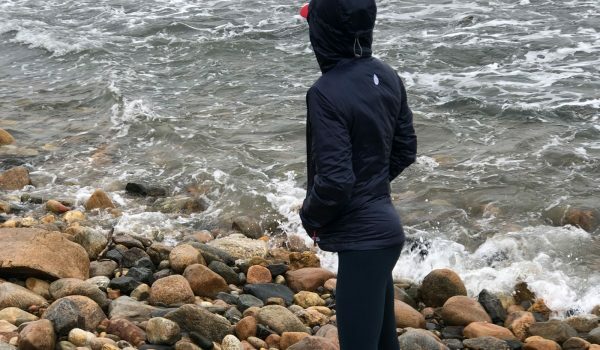 For many of us, the one comfort that makes the struggles of running easier to endure is the sound of the training montage from Rocky or the blasting bass of a heavy metal ballad or maybe even the latest Top 40 dance beat pounding in our ears with enough ferocity to drown out the voices of doubt that typically increase in volume with every step. While a good pair of headphones or earbuds can do wonders to make the grind of running infinitely more appealing, a substandard set will only add frustration to pain. To find out which headphones and earbuds delivered not only the best sound, but also the most practical applications for runners, we put five of the latest earbud style headphones to the test to see how they performed. 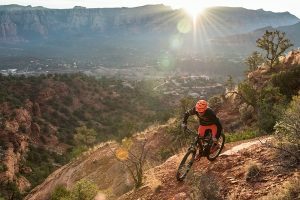 And because life doesn’t always revolve around running, we also put the headphones through their paces on the trails, at the gym, and even along some rather sticky sections of singletrack to find out how they stacked up in a variety of activities. 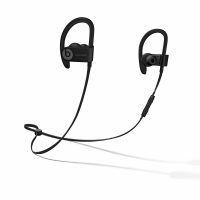 The PowerBeats 3 are a solid set of earbuds that are comfortable to wear and deliver excellent sound quality. The connecting cord design inhibits using only one earbud at a time, but this feature combined with the earhooks makes the PowerBeats the most secure fitting of any of the earbuds in the test. When you cut everything else away, the purpose of all headphones and earbuds is to listen to music. And while the quality of the sound that pours out of the devices in your ears can largely be subjective, it’s important to recognize how high of a priority you want to place on sound quality. Is good enough, good enough? 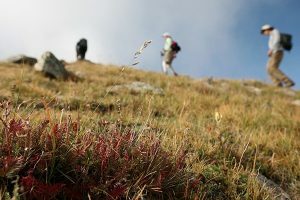 Or do you need to hear the highest highs and lowest lows in order to draw the kind of inspiration you need to keep your feet pounding the pavement? There’s no wrong answer, there’s only the priorities and how you rank them. While all of the headphones and earbuds in our test delivered the kind of sound quality that would certainly exceed the minimum standards of the vast majority of users, there were a few models that had the kind of sound quality that quickly separated them from the rest of the pack. The Jaybird Run, Jabra Elite Sport, and PowerBeats 3 all pumped out tunes with the kind of crisp definition across the sound spectrum that made listening truly pleasurable, but, true to the Bose reputation, the SoundSport Free stood at the top of the sound quality rankings by delivering superior sound across a wide range of music styles. 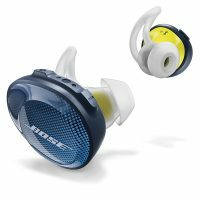 While it might be hard for the average listener to distinguish the difference between the sound quality of the top-ranking models, for those runners who place a high priority on this category, the Bose SoundSport Free is in a class by itself. This category might be even a little more subjective than sound quality since every person’s ear is different, and every earbud or pair of headphones is going to fit a little differently in each unique ear. So instead of trying to rank how comfortable each pair was in our ears, we tried to test the design of the earbuds and looked at how the earbuds fit into the ear in an attempt to gauge the potential for a comfortable and secure fit in a wide range of ear types. We focused on two basic factors – how comfortable the earbuds or headphones were to wear for long periods of time, and how securely they stayed in place through a wide range of activities. 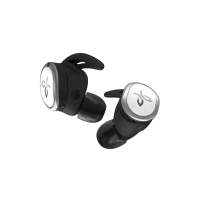 Based on this criteria, the Jaybird Run consistently stood apart from the other earbuds in the test because of their small, low-profile design that allowed them to nestle into the pocket of the ear comfortably and securely. All of the earbuds in the test came with multiple sizes of wings and tips that allow users to individualize the earbuds and find the most comfortable and secure fit for their ears, but at the end of the day, if you’re going to invest in a pair of earbuds, it’s important to take a close look at which earbuds best fit the shape of your ear. Not all of us are as tech-savvy as we’d like to be, and as running headphones and earbuds become more and more technologically advanced, they also become more complicated to use. For this category, we looked at how easy the initial set-up process was for each pair of headphones and earbuds – from downloading the required app to pairing them with the appropriate device. From there, we judged the earbuds on how easy and intuitive they were to operate for the most common functions including play/pause, volume control, skipping tracks, and receiving/ending calls. If there was a supporting app, we also factored in how easy it was to use and how long it would take the average person to get comfortable with its practical application. 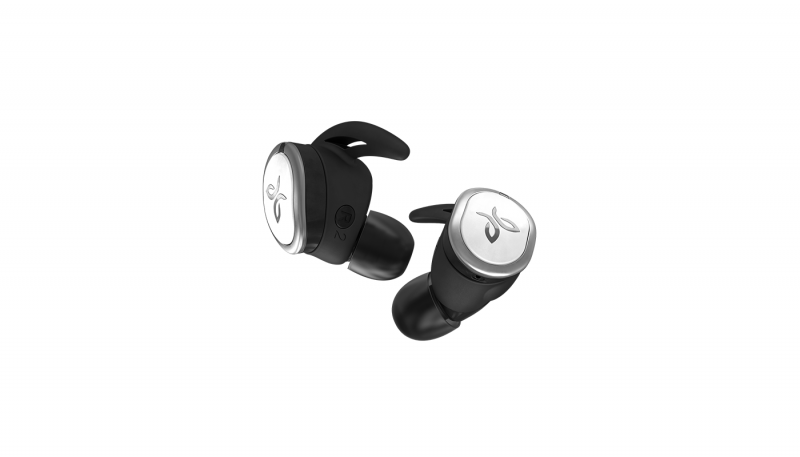 While all of the earbuds and headphones had a slight learning curve that new users had to adapt to, the Jaybird Run and Jabra Elite Sport stood out among the true wireless models as the easiest to use. 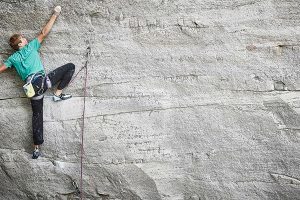 The Elite Sport does have a supporting app that is extensive in its feature set and takes some time to acclimate to if you really want to maximize its potential. But the app isn’t necessary to use the earbuds, which are relatively simple to operate by themselves. 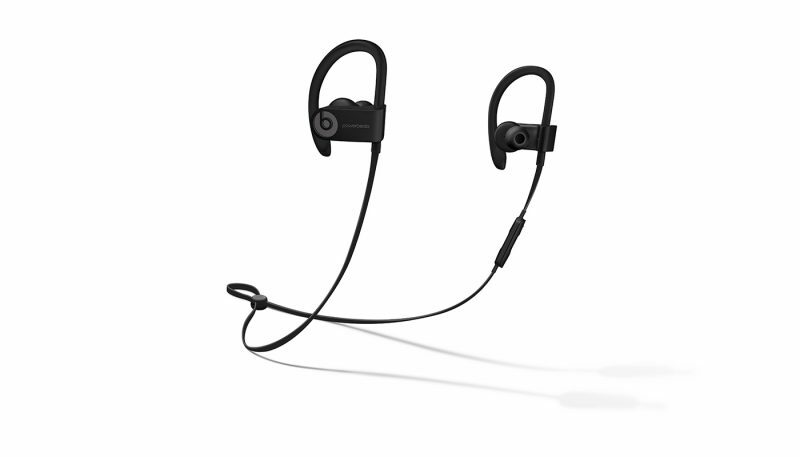 The PowerBeats 3 also scored high in this category because of their simple, straight-forward design that has proven effective for years. Life isn’t just about running. Most of us participate in a variety of activities, and it’s nice to be able to have music to accompany you on all your adventures. Because they make it so easy to use a single earbud at a time, leaving one ear open to listen to your surroundings, true wireless earbuds have bought a versatility to this category that was never really practical before. 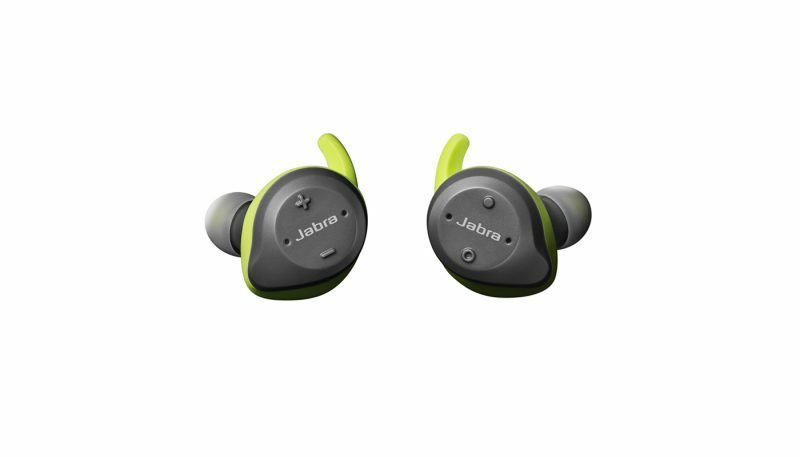 While nearly all of the headphones and earbuds in the test could be used for activities other than running, the Jaybird Run and Jabra Elite Sport were, by far, the most versatile earbuds in the test. Both of them feature low-profile designs that keep the earbuds tight to your head and decrease the likelihood of being dislodged during more strenuous activities. 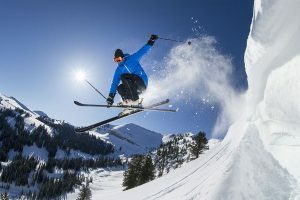 Both of these true wireless models allow users to listen to music with only a single earbud, which is a huge benefit for activities such as biking, skiing, hiking, and many other activities where safety dictates that you keep an ear open for potential hazards around you. 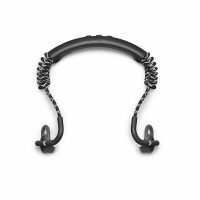 And while the SoundSport Free can also be used in a single ear, its design places it farther away from the head which increases the likelihood that it could get dislodged from the ear by a headband or helmet strap. Despite their smaller size, running headphones and earbuds are more feature-rich than ever. For this category, we looked at the features that each pair of earbuds came with above and beyond the standard options that were consistent among all models. 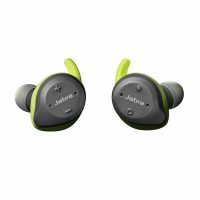 There was no question that the Jabra Elite Sport surpassed all the other models in the test with its ability to monitor your heart rate and relay that information to the most extensively featured supporting app to give users real-time workout results that allow you to adjust your pace, modify your training, and maximize your efforts. 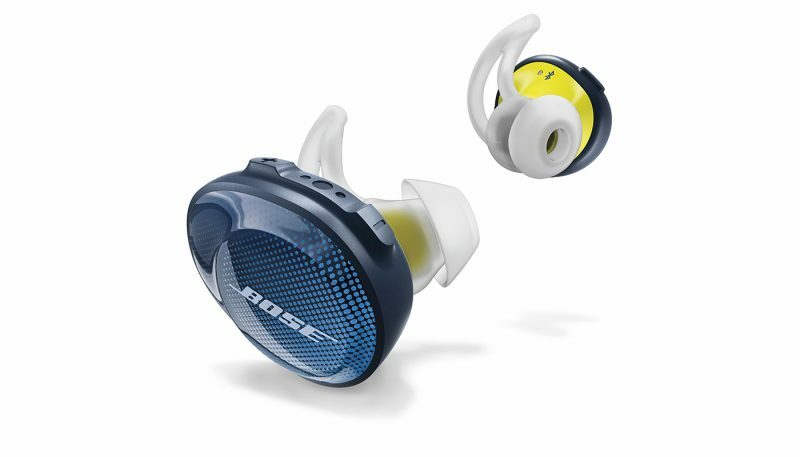 Both the Jaybird Run and Bose SoundSport Free also boast some impressive features including their hard-sided cases that provide extra charges to power up the earbuds and supporting apps to customize the sound experience, but when it comes to features that raise the bar on expectations, the Elite Sport earbuds really stand out. What are Running Headphones and Earbuds? Music has the power to take us to new places, inspire us to do the impossible, and remind us how important it is to be more than we believe we can be. Never is this power more important than when we’re out on the street or the trail and minutes turn into miles. It’s very seldom easy, and there days when you don’t think you have the will to tighten up your laces let alone push yourself to a new PR, and sometimes the music is the only thing that gets you past that point when you think you can’t go any farther. For those runners who rely on their music as an integral part of their running experience, a good pair of earbuds might be right behind quality shoes as the most valuable piece of running equipment they own. If you’re one of those runners, then it’s important to find the earbuds that are going to deliver the kind of experience you need to turn miles into milestones. When it comes to choosing the right pair of earbuds for you, it’s important to understand your ear shape and how much of a tolerance you have for wearing earbuds for a long duration. If you have friends who have earbuds, try them on and get a feel for what kind of buds work for your unique ear type. 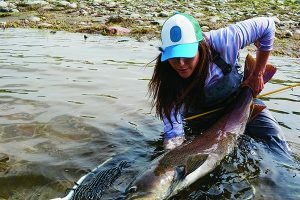 Try the different sizes of wings and tips – along with different variations of wings and tips because what fits one ear might not necessarily fit the other – until you’re sure you have a combination that you’ll feel comfortable having in your ears for however many miles you plan on putting in. Comfort can’t be overstressed because if you don’t enjoy having them in your ears, all of the other qualities of the earbuds are rendered instantly irrelevant. Once you figure out what kind of earbuds fit the most comfortably in your ear, it’s important to get a good grasp on what qualities are the most important for you and for the types of activities you plan on participating in. If you have a highly trained ear and can’t stand not to hear the subtle textures of every note, then focus your search on the earbuds with the best sound quality. 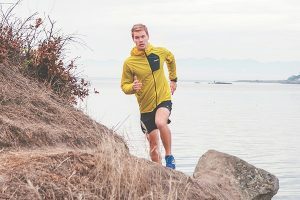 If you’re into multiple activities, then it might make sense to look for the most versatile earbuds, or if you’re only into distance running then weight and battery life might be at the top of your list. Regardless of what you might be looking for in a pair of earbuds, it’s hard to argue that the advancements in true wireless technology aren’t responsible for the highest quality, best sounding, and most versatile earbuds that have ever hit the market. The top three earbuds in our test were all true wireless for good reason – they tend to provide nearly everything most runners are looking for in a pair of earbuds with very few drawbacks. That isn’t to say that there still isn’t a place or purpose for earbuds that are connected by a cord, or that the quality of this style still isn’t impressive. It’s simply that the true wireless design has brought a new level of freedom to music on the go.